I know I’m not the only person who loves freshly scented clothes. Every time I turn on the TV, I see products marketed to keep clothes smelling fresh. From detergent to fabric softener to toxic sprays, there are so many synthetic options. However, these products are laden with many harsh chemicals and synthetic fragrances that are designed to “hang around.” Those VOCs (volatile organic compounds) cling to clothes and often can be detected after many washes. You know this is true if you’ve ever switched to unscented or natural detergents. In our house, we try to avoid all synthetic fragrances. 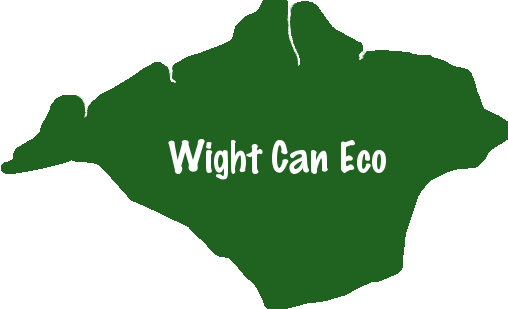 That means making our own alternatives or choosing to buy a product made without fragrance. However, sometimes I find that I do miss a little scent to my clothes. Especially after they have been sitting in the drawer for a while. I’ve made several different types of clothing refreshers from sprays to sachets, and I always find that I like using dried herbs the best. They seem to leave a lasting smell that gently perfumes my clothing and linens. I do enjoy trying different herbs and essential oils to find scent combinations that are pleasing to my whole family. Often I’ll use lavender buds or rose petals, but my husband complains that they smell too girly. A few weeks ago he asked me to find a more “fresh” smelling aroma. Mint was my first choice and it would certainly make a good one, but I find that its aroma does seem to evaporate quickly. My next choice was eucalyptus. It has a very fresh, somewhat sweet, and piercing aroma. It is lovely paired with mint, lemon, or a variety of other aromas. The herb is fairly cheap to buy online so I decided to give it a try. When I opened the bag I was surprised at just how potent the eucalyptus aroma was! I could definitely feel the cooling properties as I breathed it in. Since I love homemade tea, I had some empty tea bags lying around. They are easy to fill and are very thin, so the fresh scent of eucalyptus easily escapes. You could also choose to use fabric scraps or an empty cotton or jute bag for this DIY as well. After three weeks, I can still smell the eucalyptus! The smell has lessened, so I plan to add a drop of eucalyptus essential oil directly to the bags soon. If you want to add a drop or two of essential oils, you can definitely do that as you are crushing up the leaves and adding them to the bag. Lemon, tea tree, peppermint, or orange would be lovely with the eucalyptus leaves. Gently crush dried eucalyptus leaves to release the aromatic oils. Fill the empty tea bag with the crushed eucalyptus leaves. Seal tightly and place in your drawer. Note: You can also add a drop of eucalyptus essential oil to the dried leaves as the aroma becomes less apparent. Simply open the tea bag, place one drop inside, and shake to combine. Also, this DIY doubles as a wonderful bath soak or aromatic shower. I often fill a tea bag with some crushed eucalyptus leaves and hang it in my shower when I’m feeling congested. It works wonders! Plus it always leaves me feeling energized and refreshed. 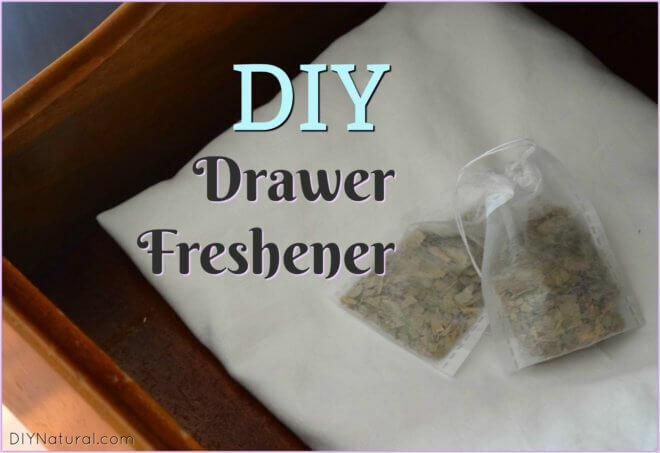 DIY Drawer Fresheners for Naturally Fresh Clothes was written by Katie Vance.